You’d be forgiven for thinking that I have over-indulged this holiday for putting two seemingly mutually exclusive terms in the same sentence, Britain and desert. Yes I too thought it a bit strange, even more so as it is pouring down with rain outside at this very moment. 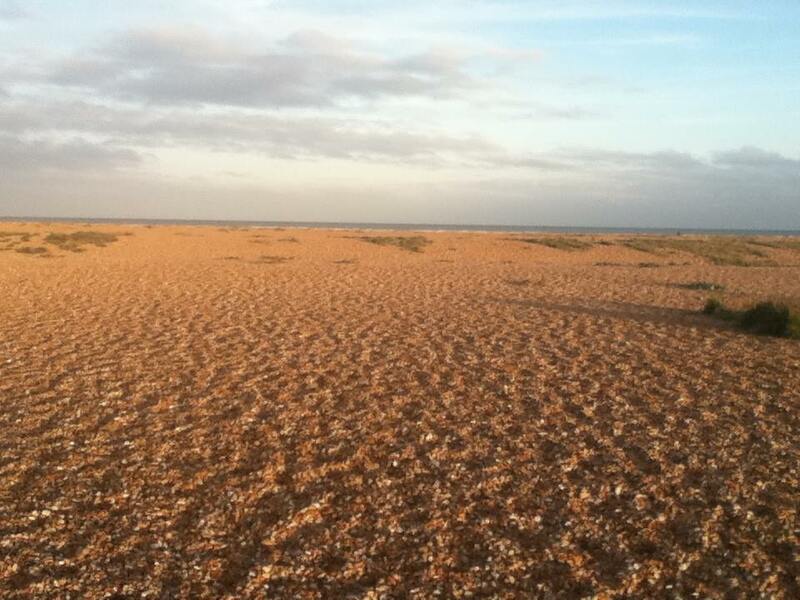 However dear reader, I have not lost my marbles or at least if I have then Dungeness was not the tipping point. Read on and all will be revealed. 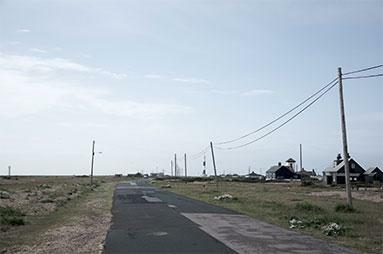 I had the pleasure of visiting Dungeness in November whilst meandering down country roads. It is 12 square miles of sand shingles on the coast of the county of Kent sticking out into the English Channel. 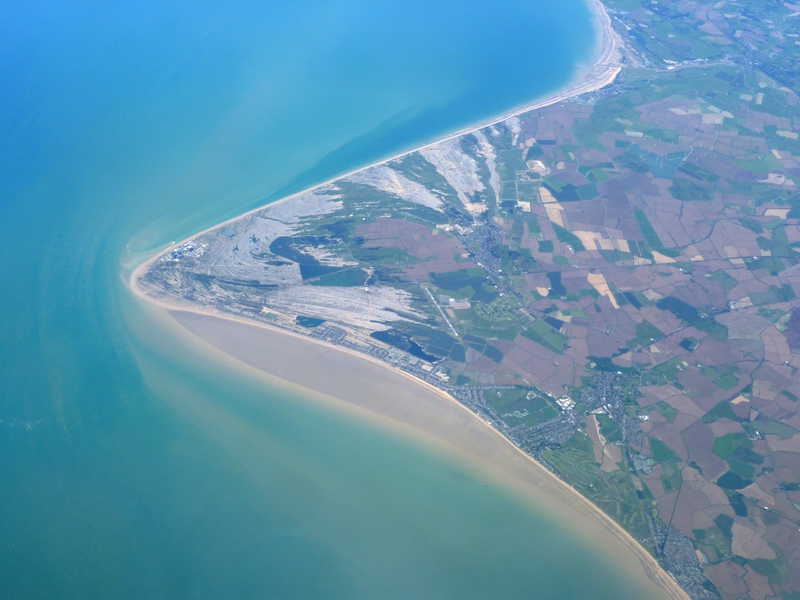 Formed by the process of longshore drift where the coast is eroded in one section but the sands, soils and stones being washed along by the current until due to various reasons they begin building up. Sometimes they are washed away but in others they continue to build up until the area is eventually colonised by plants and becomes new land. 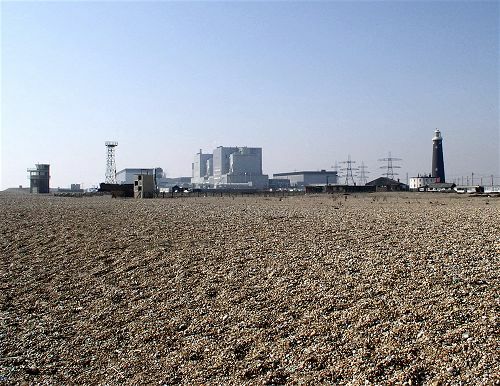 Dungeness is the biggest shingle area in Europe if not the world and it is is getting bigger day by day. This can be seen by the numerous lighthouses and lighthouse remains that have been built over the centuries as the sea has receded. Kent is full of islands that have joined to the mainland as well as one or two that have been washed away completely but none are like Dungeness which really is one of the weirdest places that I have ever been too. 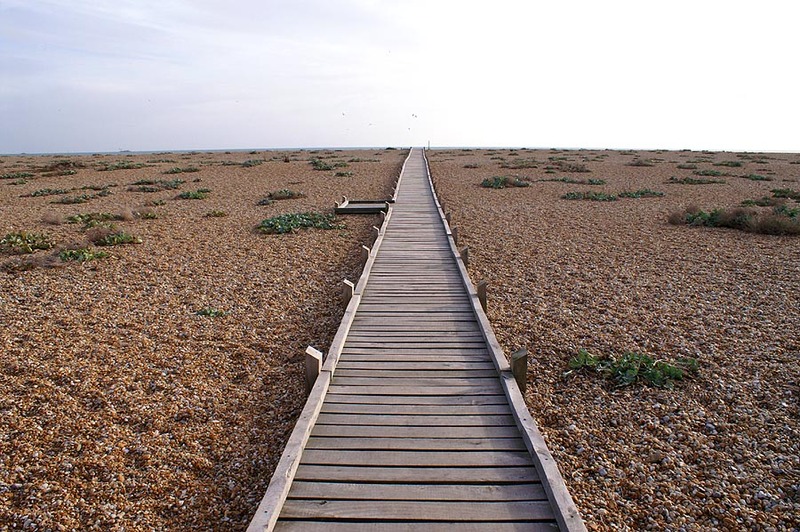 Dungeness is home to large nature reserves and is rich in particular with birdlife. These are overshadowed by 2 nuclear power stations, several large gravel pits now filled with brackish water and a collection of old ships and wooden buildings, not forgetting the tiniest public train line in the world. When I visited in November, somehow I got vaguely lost despite or because of the relatively few roads in the area. The whole place has a vaguely other-worldly feel to it that seems to be a cross between a forgotten mid-west town, a Viking settlement and that old episode of Star Trek where they ran out of money to build a complete cowboy town leaving a vaguely incomplete town. Having said that, Dungeness does have a wild feel about it perhaps because everywhere you look there is gravel and shingle. Driving as close to the sea as we could, we lost all expectations of walking to the sea itself as the shingles went on for miles and our legs and impending darkness wouldn’t allow more than a 15 minute stroll. It’s midwinter appearance made things seem even more stark with the cold but big blue skies and the only occasional person we saw walking around with fresh fish and possibly eels. If we stayed after dark, we would no doubt be picked off by the locals and never to be seen again. It is because of this strange situation that the place is very popular with holiday-makers and artists with many of the wooden cottages and the eerie nature of the area making it an inspiration to many artists, musicians and writers. On a clear day you can see France from the beach and it is getting closer. Originally Dungeness was purchased by a rich landowner, what a bargain he got with the ever increasing area coming under his control. Wonder around long enough and as well as boats, houses, nuclear power stations and shingle stretching all the way to the horizon and you might come across these strange looking things. These were built in the 1930’s and are a pre-cursor to radar. The soundwaves of approaching aircraft from Germany could be detected several minutes before they appeared in the sky giving just enough notice for RAF planes to scramble and defend against attack. Of course they quickly became outdated when radar appeared but due to the geographic location, relative remoteness and unusual terrain, there remains military bases nearby. It might not be the Sahara but if a desert is defined by either a lack of rain-fall or fresh water sources then Dungeness fits into the category surprisingly well. England might be a green and pleasant land but Dungeness is definitely an exception and a fascinating if slightly spooky one at that. This entry was posted in geography, history, Travel and tagged County of Kent, Culture, Desert, Dungeness, geography, history, holidays, Life, Trains, Travel. Bookmark the permalink. I really enjoyed this blog. 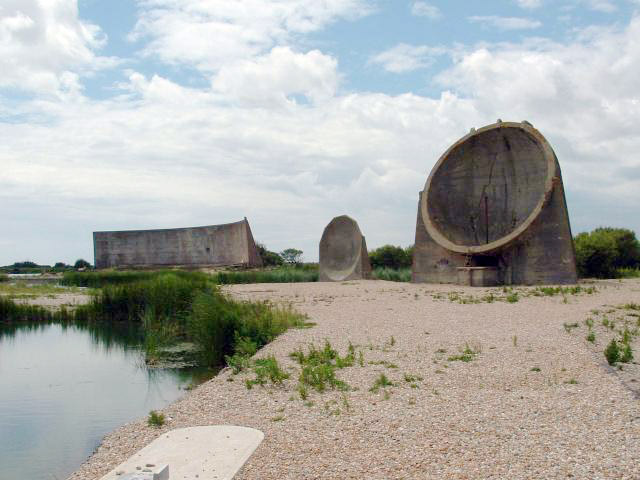 I especially like the image of the Acoustic Mirrors. I have read about them but did not know that there were any left standing. Thank-you. There is still a lot of old WW2 relics around if you know what you’re looking at but yes these mirrors are rare. Only this morning I saw a house with a pillbox in the back garden that was now some unusual plant and water feature! An excellent piece of writing Stephen. Dungeness is a strange place but beautiful none the less. 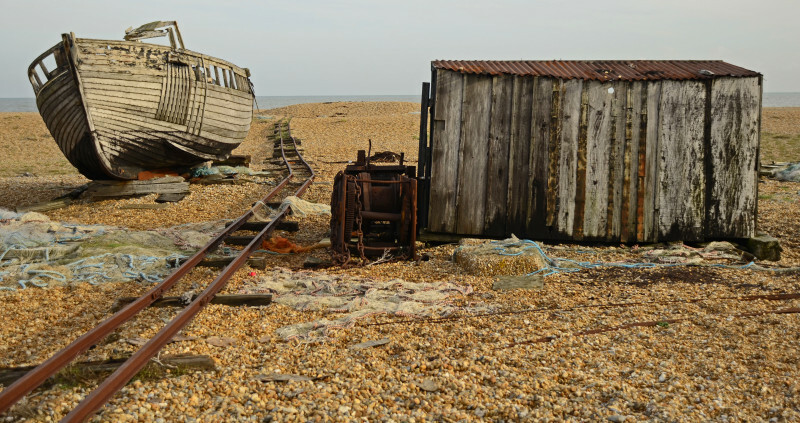 Before I retired as a life long Television Cameraman I visited Dungeness on many occasions, we even did programs about it, it is a desolate place. It sounds like you had some great experiences there. I would very much like to return to spend more than the few hours which I had last time. I don’t think I will ever get used to the strangeness but the desolation was amazing. Wow. How interesting. I lived in London for a couple of years but never knew bout this! Fascinating. I’m glad that you enjoyed it. I am sure most people in London don’t know about it despite it being just 2 hours drive away. Next time you go, you should use the little train that runs along the coast. Go in the summer its really beautiful, and some of the little gardens are wonderful. We use to live in Kent and it was a great place to walk on a Sunday. Lovely post, brought back lots of memories. I’m glad that you enjoyed it. This time of year is great for going through holiday photos and we have been looking at Kent and Norfolk. Both quite different but nice in their own ways. On our way to Dungeness we were lucky enough to drive through part of Sussex, that really is a gorgeous area. Must go back! A great description of a truly amazing place. I remember going up the lighthouse there when very young. I really enjoyed this piece. I’ve wanted to go to Dungeness for ages but your pictures have inspired me to make an effort to get there this year. 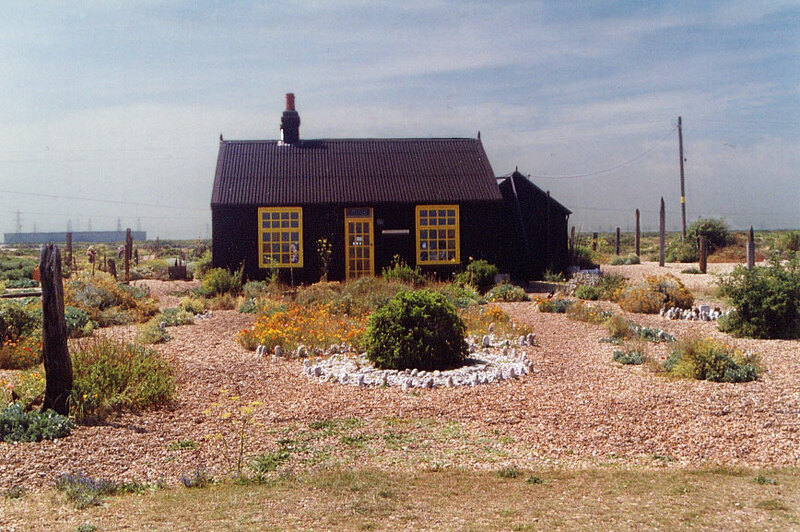 I’d also love to see Derek Jarman’s cottage. Thank you Gillian. It is a surprising big place. I too would have liked to see Derek Jarman’s cottage but the whole area is so spread-out and hard to get to from the rest of Kent that I didn’t manage it. I really recommend a visit though! I have been meaning to visit the acoustic mirrors for some time and eventually got round to it this weekend. I have to mention though (with my pedant hat on) it is unlikely that they ever contributed to pilots scrambling to meet the oncoming threat of German aircraft for two reasons. Firstly, RADAR was in place by the start of WW2 and more effective than the mirrors – not least in their useful range and second, by the time we got to WW2, aircraft were much swifter beasts and it is doubtful, even with the efficient communications network in place (which probably accounted to some degree for the success of RADAR), that they would have given sufficient warning. However, they should be visited and enjoyed for what they are. Quaint by today’s standards and a great technological feat by the standards of the 1930’s.